An opening at the end of a runner, which directs the flow of molten material into the mold cavity. he approximate midpoint of the brittle to rubbery temperature range of a polymer. The glass transition temperature of a polymer will often appear as a spike on a difference scanning calorimeter (DSC). 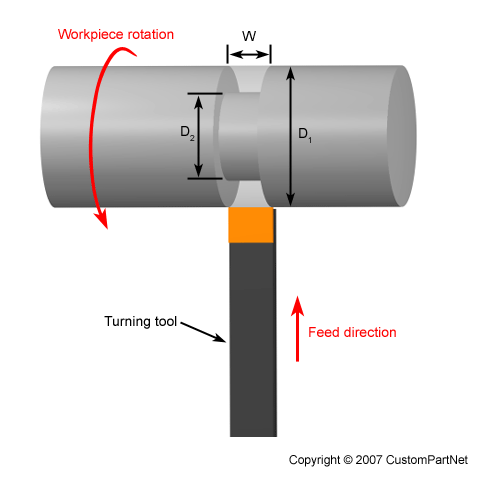 A turning operation in which a single-point tool moves radially, into the side of the workpiece, cutting a groove equal in width to the cutting tool. If the desired groove width is larger than the tool width, multiple adjacent grooves will be cut. 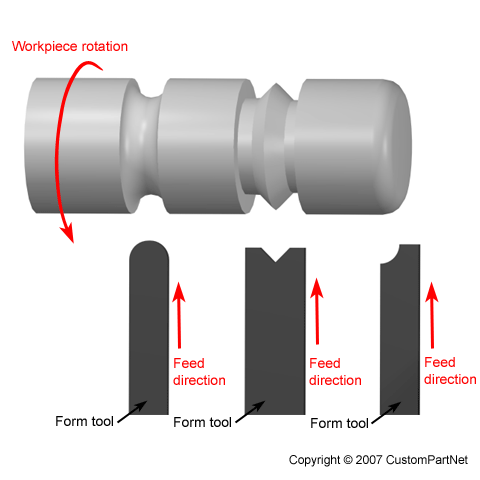 A profiling cut can be performed to smooth the surface of multiple grooves. Special form tools can also be used to create grooves of varying geometries. A thin triangular support structure that joins the vertical side of a protrusion to the horizontal base from which it protrudes.